We would like to say we are very happy with the supply and fitting of our shutters that you installed at the end of January. 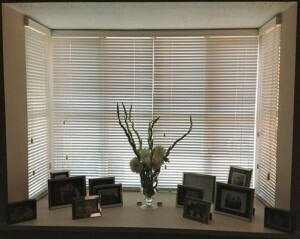 The shutters look really lovely and make a huge difference to the look of our living room. 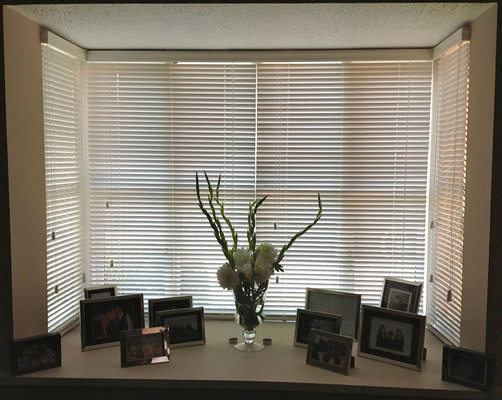 The installers were very professional and the job was completed sooner than we expected to a very high standard….We will definitely contact you again when we decide to have more shutters fitted in our home in the future. Thank you again. Mr & Mrs Hillman. (Petersfield, Hampshire). Dear All, I just wanted to send an email to say a big thank you for the wonderful service I have received from start to finish with your company. I did call this morning, and spoke to a smashing and friendly lady, but I can’t leave a review as I don’t have the google” sign in” thing on my computer. From the lovely guy that measured to the lovely guys that did the installation this morning, the work and attitude has been fantastic, the blinds look amazing. They have cleared up after themselves perfectly, you would never know that any workman had been in the house. I have already recommended and shown pictures to my colleagues at work this morning, I am sure you will receive some phone calls very soon. The guys have measured the next room I want done, thank you all so much, the whole experience with your company has been first class and value for money. I would like to relay my thanks to your company for the friendly professional service throughout, from my initial enquiry to measuring and fitting. Your estimator and fitter arrived as scheduled, were efficient, very pleasant and did a fantastic job. Your company were recommended to me and I would certainly continue that recommendation. 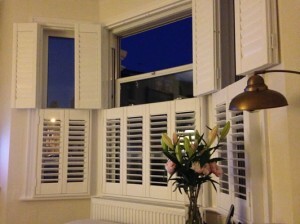 We are absolutely over the moon with our shutters and literally cannot thank you, Harry and Ray enough. They look stunning and have finished our lounge/dining room beautifully. It’s quite rare these days to receive a total all round great service so we highly commend you all and would not hesitate to recommend you. Marina, your initial response was the most informative and helpful from all of the quotes we requested. Harry then followed with a prompt measuring appointment with further friendly advice. Ray arrived absolutely on the dot this morning and did an amazing job in the fitting, they are perfect. Sincere thanks again to you all for your outstanding service, we’re most grateful. Hello Affordable Shutters, Sorry it’s taken me a while to get round to dropping you a note about the shutters you fitted for me recently. They are superb. They look even better than I expected, and have transformed how my house looks. All the people I’ve engaged with are a credit to your business – I’d have no issue recommending you. Quentin Goodwin Thank you again! Hi Paul We just have to write and say what a fantastic job Ray did yesterday installing shutters at four windows. Has made a difference to each room. We were recommended by our daughter to use you as she had been so pleased with her shutters. We will also recommend your company. Regards, John and Marilyn Blackmore. Hi Marina/Paul & Harry,just a quick note of thanks for a superb job completed by Harry on Thurs 26.6.14. He is a lovely person and very skilled. Wouldn’t hesitate to recommend your company. May be back shortly for another quote on my bedroom. Regards Tom & Berenice, Normansfield Court Teddington. Dear Marina, A quick note to thank you, Paul, and your two son’s for installing shutters for us at Wingrave Road, London. Dear Harry and Jake..A Huge thank you for the way you fitted my shutters on Saturday, I am really pleased with them, they look wonderful, you did a fantastic job, you were clean, tidy polite and an absolute pleasure to have in my home. 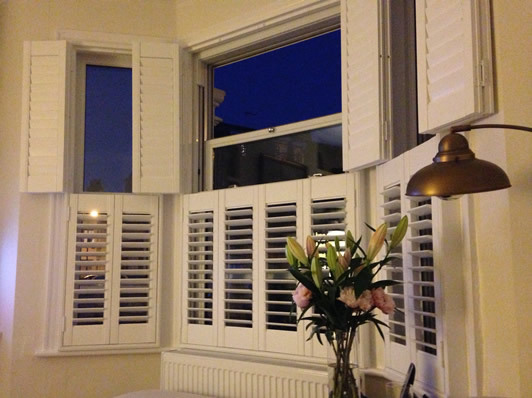 Thank you Paul, Marina and the team at Affordable Shutters…..We are thrilled with our shutters, they have transformed our home. The success of the fitting was all due to the excellent survey done by Paul, he just seemed to think of everything in short space of time. The fitters were so professional, I would not have known they were in our home, they did not leave one spec of dust. Everything was fitted in the time stated when we placed our order. My neighbour was blown away with them and placed his order immediately he saw mine. You came recommended to me and I would certainly have no hesitation in passing on the recommendation. Dear Marina we wanted to tell you how pleased we are with our shutters, they honestly look far better than we ever imagined they would. Both Alan and Ricky did a great job and were brilliant to have around. We can only sing your praises and would be more than happy to highly recommend your company to any prospective clients. Yours kindly Roger. Dear Affordable Shutters on Friday, 3 July, Harry and Jake fitted my shutters to my house. I would like to take this opportunity to say how lovely they look, and how well the boys fitted them. They were on the go constantly and never stopped until the job was finished. They left the place clean and tidy. I have a lot of people admiring them. Thank you very much for the very good service. Yours faithfully.. Mrs Coles, Cove Farnborough.